When our firefighters take an oath to protect life and property, sometimes it means going the extra mile in some of the most unexpected situations. A grateful citizen wished to express her sincere thanks after a few of our A-shift firefighters took time to help a family of ducks in distress on Sunday, July 5. 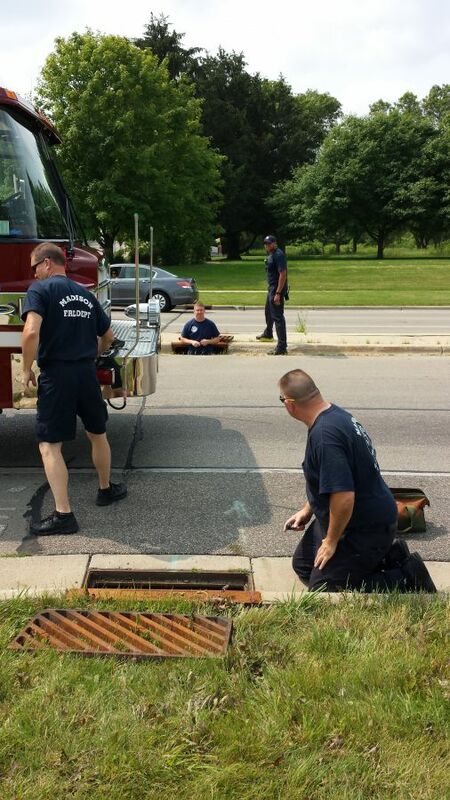 A shout out to Lieutenant Scott Larson, Craig Brinkmann, Pat Burns, and Adam Perez from Engine 7 for rescuing eight ducklings from a sewer and returning them to their frantic mother! I was waiting for Animal Control to arrive when these wonderful firefighters passed by. 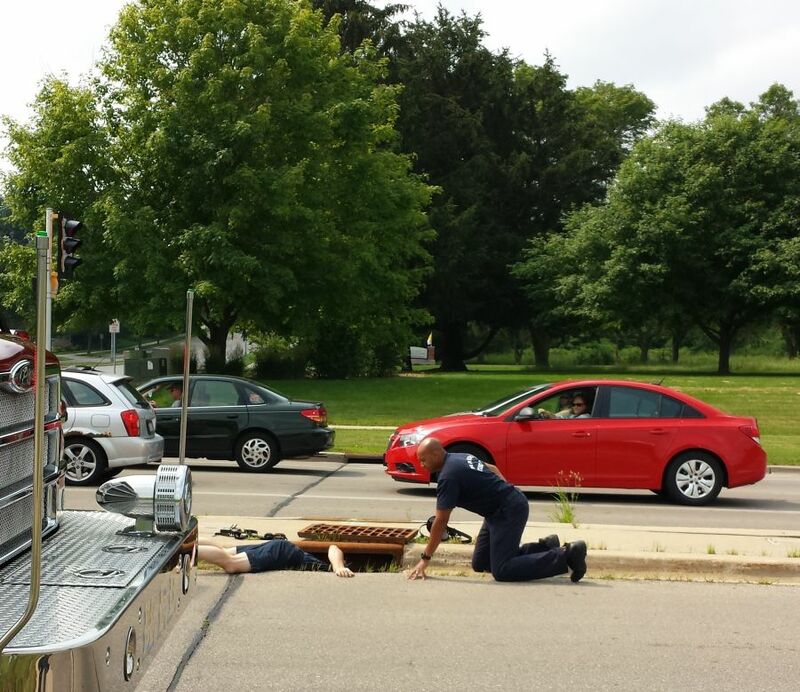 They pulled over and couldn't have been nicer as they directed traffic around the mother duck, lifted up the sewer cover, located the chicks, and devised a rescue plan. 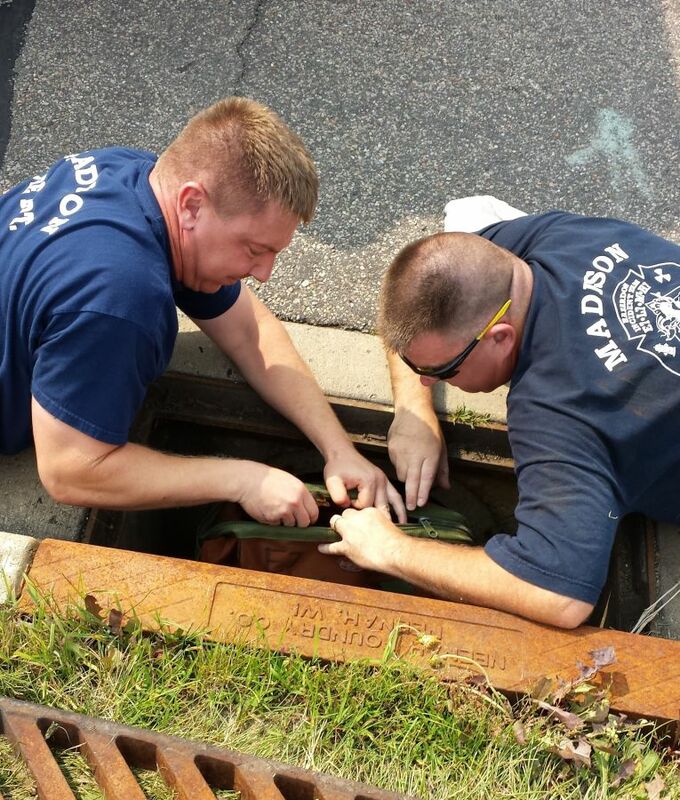 Scott Larson crawled through the pipe while his colleagues blocked other escape routes the ducklings might have taken. Within minutes, Lieutenant Larson was passing the eight little chicks up to his waiting colleagues who carefully placed them in a bag. They then located the mother duck (who had fled) and shunted her back to a nearby marsh where mother and ducklings were reunited. Thanks for a job well done! The ducklings have crossed the street underground. Lt. Larson enters the sewer to redirect the ducklings. 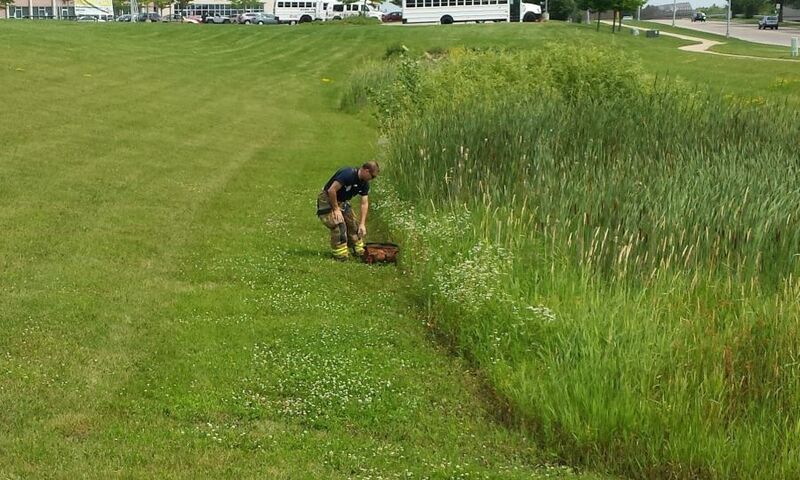 Firefighters Craig Brinkmann and Pat Burns place the ducklings in a bag for safety until they can be released. 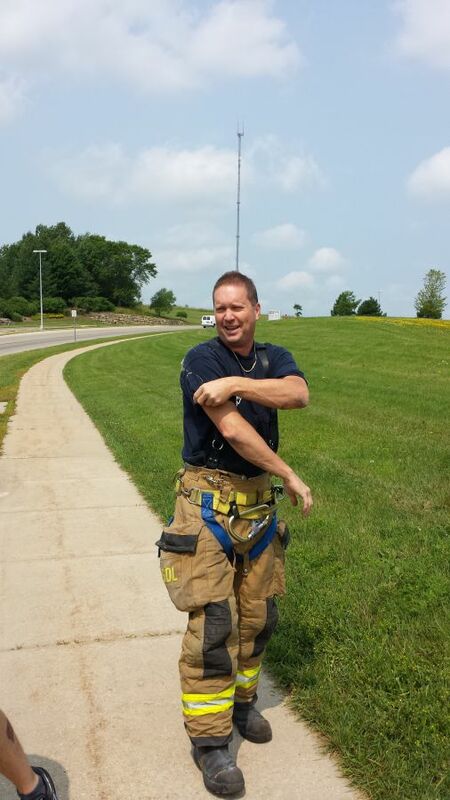 Lt. Larson dusts off after his trip through the sewer. The ducklings are reunited with Mom.